Non-CF bronchiectasis is an orphan disease which has been described as “one of the most neglected diseases in respiratory medicine”. There has been a surge in interest in bronchiectasis in recent years and investigators around the world are now starting to join forces to drive forward and make substantial progress in the understanding and treatment of this disease. 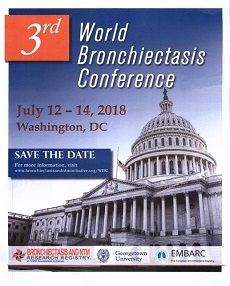 The program committee calls for the most experienced and renowned experts in the field of bronchiectasis as speakers for this conference.